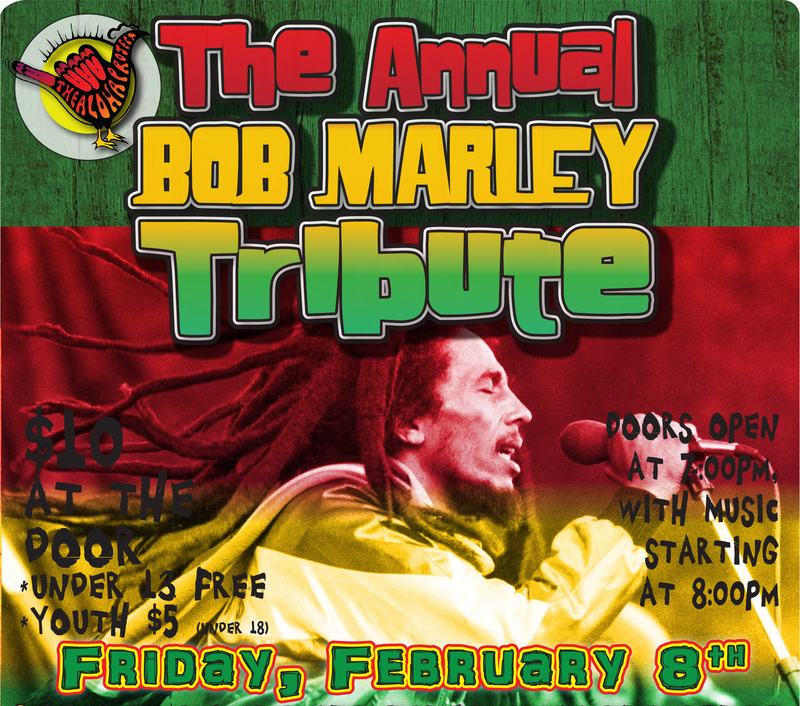 Aloha Fest presents the Annual Bob Marley Tribute. Local musicians and dancers will be performing in celebration of Marley's life in a family-friendly evening with prizes and food. The evening is co-presented by Tribal Vibes Wild Fire and the Junction. Funds raised go to Aloha Fest, an annual event celebrating local community by showcasing Saskatchewan musicians, artists, and educations sharing their talents and knowledge with a focus on ecological living and socially conscious workshops and discussions. Doors at 7 p.m. Show at 8 p.m. $10 at the door. $5 for those under 18. Free for anyone under 13. All ages and licensed.